We have some exciting news: One Shoe can count in five new colleagues! FLTR: Lize, Vasco, Frederique, Caryn and Anouk. 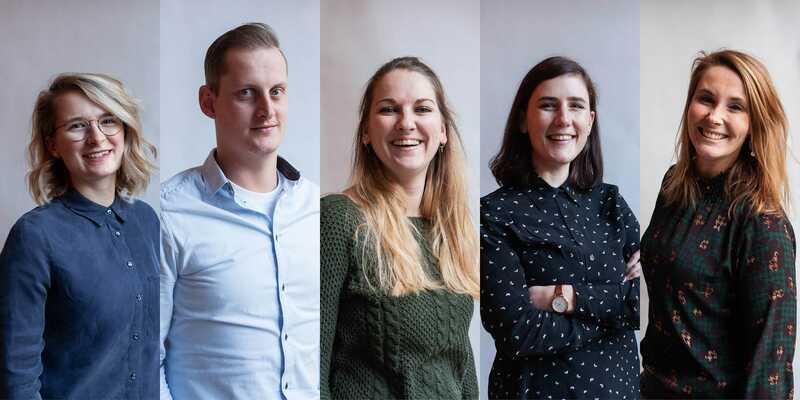 We are happy to introduce three new project managers: Anouk, Frederique and Vasco. Indeed, that means that there are lots of new cool projects going on. Caryn is our new Digital Designer and she will make sure all the pixels on your screen are going to create daily impact. Lize (Marketing) is going to tell the story of One Shoe to people like you! We have some vacancies open.